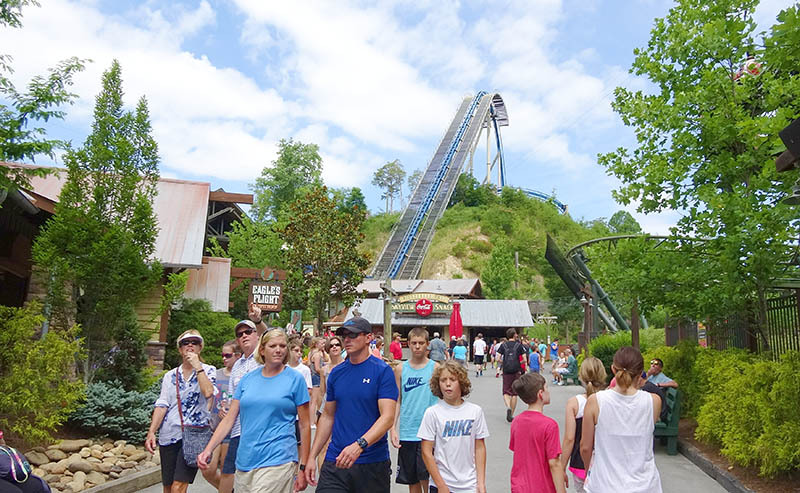 Located in the beautiful Smoky Mountains where she grew up, Dollywood is country music legend Dolly Parton's theme park, featuring rides along with traditional craft demonstrations and Broadway-quality entertainment. Mention the fact that Dolly Parton has her own theme park to people not in the know, and most will laugh at the craziness of the idea. But a theme park she does have in the name of Dollywood, and it is most definitely a high quality entertainment destination. 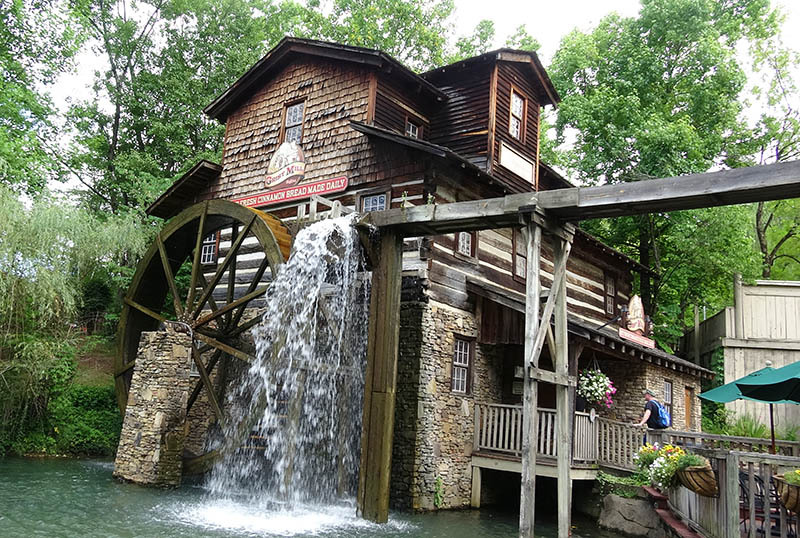 Dollywood sits in the midst of the Smoky Mountains of Tennessee, in the town of Pigeon Forge. While you may expect every ride and attraction to have some kind of reference (tacky or otherwise) to the great country music star herself, in truth there is a good balance. You won't be accosted at every corner by a stall flogging blonde wigs, huge stuffed bras or Dolly face masks. 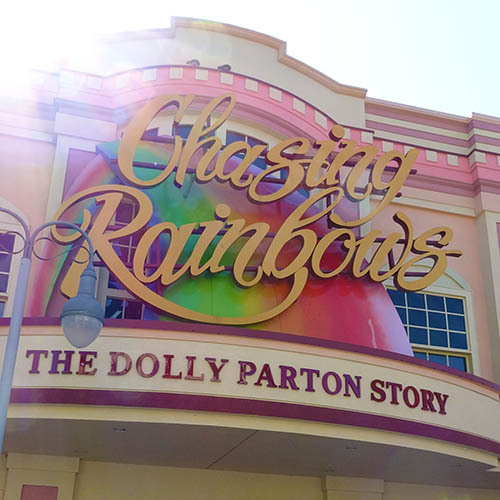 Instead, you'll find a very well presented theme park befitting of its country-esque location which has benefited from the association with the name Dolly Parton, as businesswoman and part-owner. 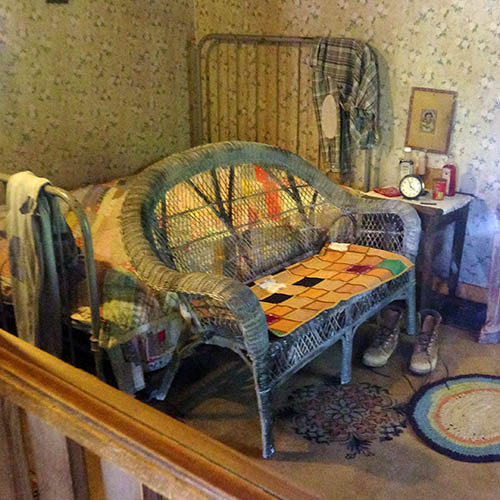 The park originally opened in 1961 as Rebel Railroad, a small tourist attraction featuring a steam train and township recreation, where visitors could experience what it was like to live through the Civil War be under attack from Union soldiers. 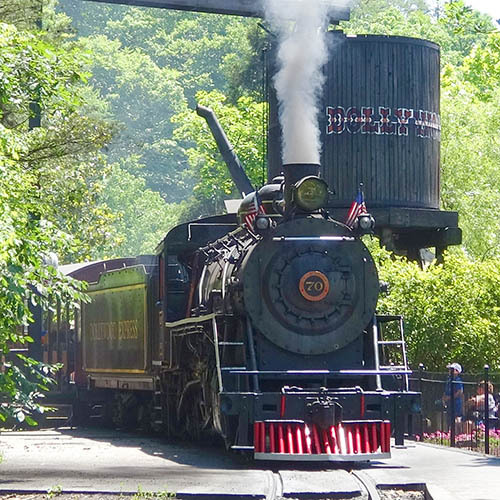 The steam train is still at the park today, and the long journey up into the mountains remains one of Dollywood's start attractions. 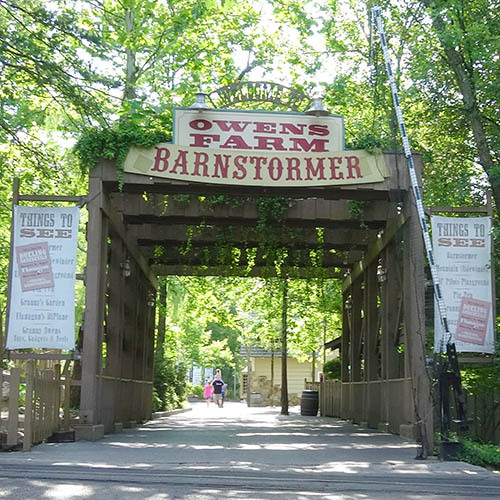 In 1976, the park was bought by the Herschend Family, owners of Silver Dollar City. 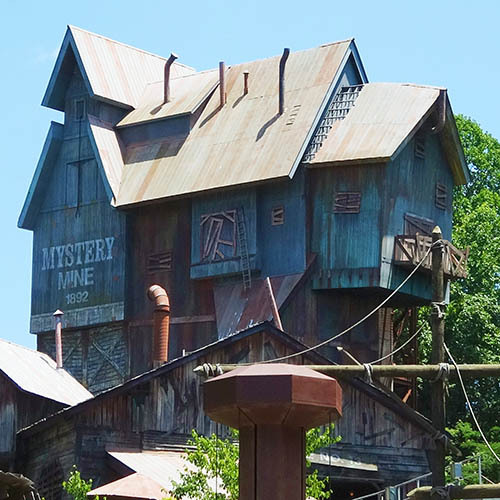 After Dolly Parton bought a share in the company in 1986, the park was renamed Dollywood. Increasingly over the last few years, Dolly has taken a personal interest in the park as a way for her to give back to the community she grew up in. Today the theme park offers several rollercoasters and other major attractions, all set within its beautifully scenic surroundings. 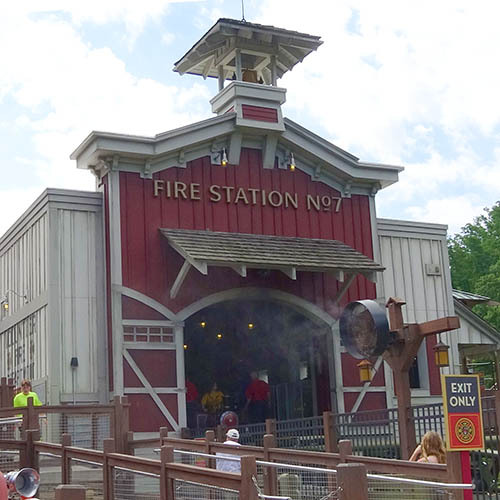 Highlights include Lightning Rod, the world's first launched RMC hybrid coaster, which was added to the park in 2016 and is themed around a 1950s Hot Rod racing car. 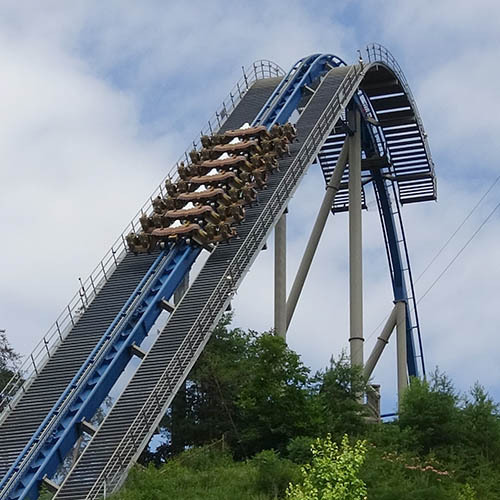 This joins other large rollercoasters such as Mystery Mine, a superbly themed but ultimately rather rough Gerstlauer Eurofighter; Wild Eagle, one of the best B&M Wing coasters in the US; and FireChaser Express, a family friendly rollercoaster that takes riders on an adventure as volunteer firefighters into the midst of a fireworks warehouse. 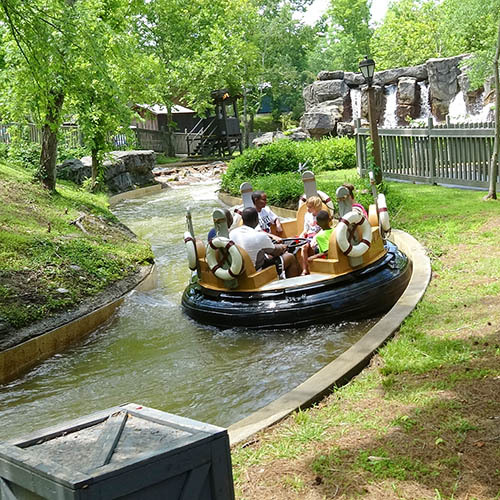 Alongside its rides, Dollywood is famous for its shows and live entertainment. Many of these are of Broadway quality. 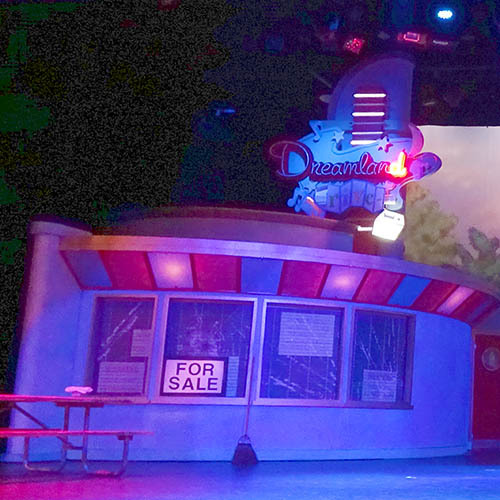 One of the best is Dreamland Drive-In, a musical featuring songs from the 1950s and 60s that regularly plays to a packed out theater. 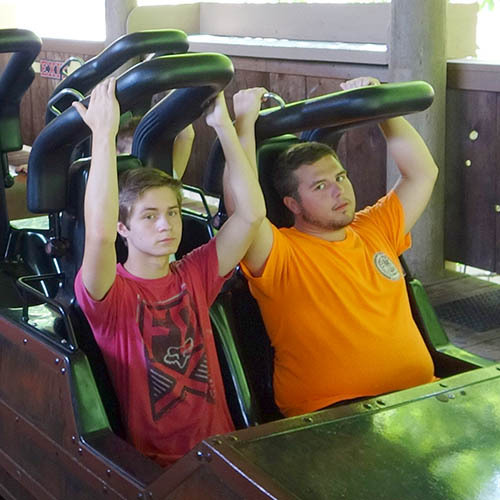 Dollywood is a beautiful park, with some of the best and most courteous staff of any theme park, along with some spectacular rides. 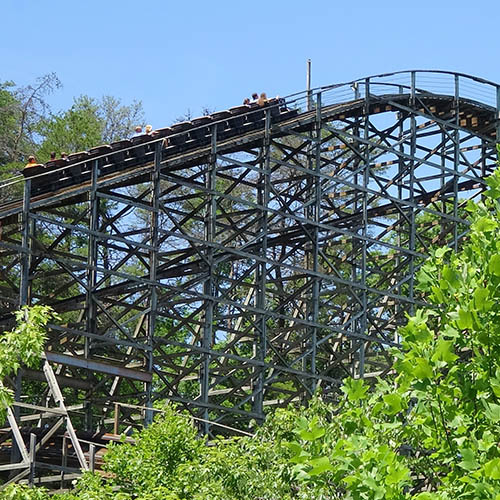 Whether or not you're an obsessed Dolly Parton fan, you'll find a day at Dollywood to be a super experience.